"What are the advantages of synthetic lace wigs compared to human hair lace wigs?" 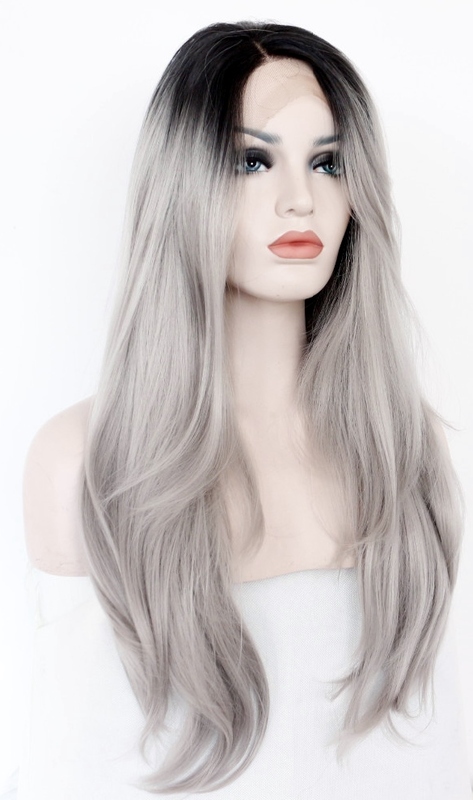 We get a lot of people asking us about whether synthetic lace wigs (also called synthetic lace cap wigs) are better than human hair lace wigs and we have to say; it ain’t so easy a question to answer. The fact is that one is only better than the other when it meets most of the requirements of the wearer. Yup, not really helpful as a final answer, so we’ll expand a bit as there a couple of areas where one type of hair definitely outdoes the other. 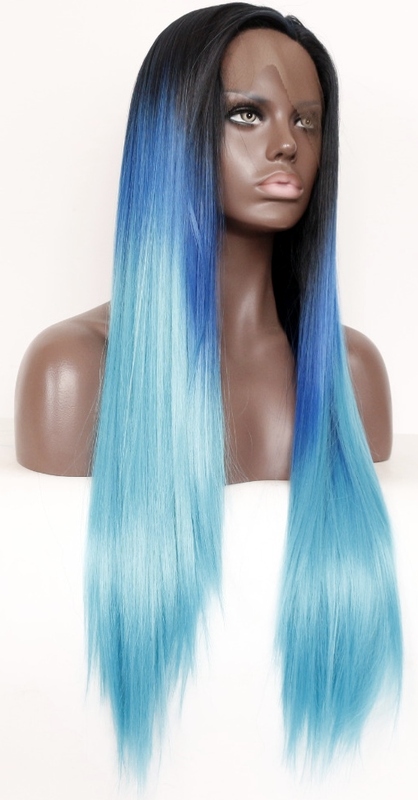 One of the best advantages that synthetic lace wigs have over human hair lace wigs is colour. If you can think of a colour, then it can be made and you can have it in a synthetic full lace or synthetic lace front wig. Anyone who’s ever been to a salon to get their hair dyed or dyed their own hair at home will know just how scientific colouring human hair can be… and even if you have all the science down pat, the colour may still not come out exactly as you imagine, and even if it does, it certainly won’t last forever. Synthetic lace wigs on the other hand will not on your nellie, never, ever fade… (Cue satisfied sigh...ahhh). It’s both a luxury and a benefit that whichever colour you choose for your synthetic lace cap wig, that’s the colour it will stay, no matter how many times you wash it. Since about 2010, many lace wig manufacturers have woken up to the fact that dudes and dudettes like a whole range of hair colours from the natural looking to the fun, fun, fabulous looking which means pink, orange, red, purple, green, pastel, blue, white, ombre, grey and much, much more. You can’t dye synthetic hair wigs in the ordinary hair dyeing sense but, if you’re brave, impulsive or just plain curious, you can use ink to change the colour of a synthetic wig....Whoa, hold on just a second; before get a bunch of emails asking us to replace stained flooring and furniture, we’d like to make it plain that we aren’t suggesting that anyone should ink-dye their synthetic hair lace cap wig, just that synthetic hair wigs can be dyed with ink...phew…that was close!). The textures for synthetic lace wigs are the same as the textures available for human hair lace wigs and we find it easier to say that there are nine basic hair textures for wigs. Good because there is more choice - woo-hoo! Bad because the same unique texture isn’t always widely available or available long term so you can end up becoming really fond of a particular texture only to find that your retailer doesn’t stock it anymore because the supplier no longer makes it - boo-hoo! The fixed nature of synthetic hair textures has an additional (making-life-a-little-easier) benefit of keeping its style after the wig has been washed. On the subject of washing....the shampoo required for synthetic lace wigs, is super affordable anything mild and nothing special required. In fact, shampoo for synthetic lace wigs can actually be free, as synthetic wigs can be washed in mild washing detergent (for clothes) and fabric conditioner works as a synthetic wig hair conditioner....how cool is that? Human hair wigs on the other hand can lose their curly or wavy textures in the long term, particularly if the hair was chemically processed to achieve the texture; this isn't so much an inherent fault as it is an inherent trait of human hair wigs. 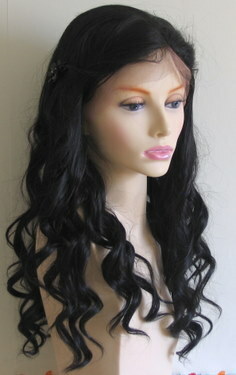 The most obvious advantage that synthetic hair lace cap wigs have over human hair lace wigs is the cost. Synthetic lace cap wigs cost less than human hair lace cap wigs; and if you’re new to the world of lace wigs and simply want to dip your toe to see how you feel, the more affordable option is undoubtedly the best place to start.